Cary Moon inherited money. Jenny Durkan worked as a lawyer. As they run for Seattle mayor at a time of skyrocketing rents and a homeless crisis, they’ve been challenged to prove they can empathize with Seattle residents who face financial struggles. One candidate lives in a $1.8 million condo with a panoramic view of the downtown waterfront. The other recently sold her home in a tony North Seattle neighborhood for $4.3 million. Both sent their children to private schools. In 2017 Seattle, a city with the fastest-growing housing prices in the nation, a yawning income gap, and an officially declared homelessness emergency, the finalists for mayor are decidedly upper crust. 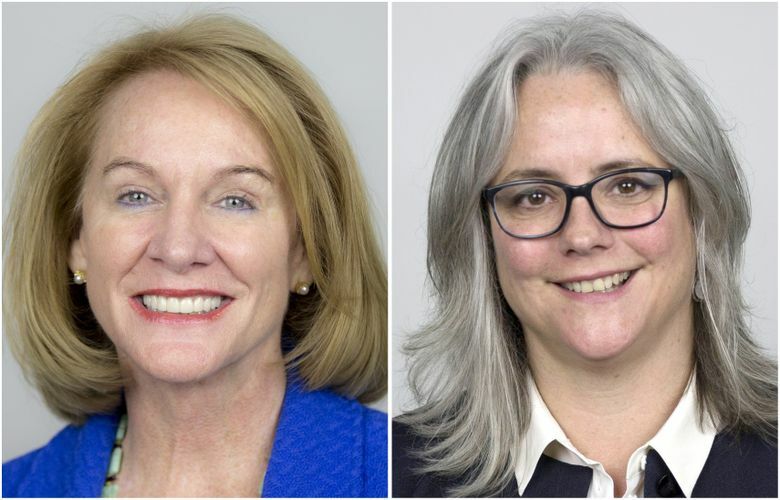 That fact has created tension at times as Jenny Durkan and Cary Moon appeal on the campaign trail to an increasingly far-left-leaning electorate. At a recent Seattle Peoples Party debate moderated by Nikkita Oliver, the lawyer and activist who finished third in the August primary, Oliver challenged Durkan and Moon. 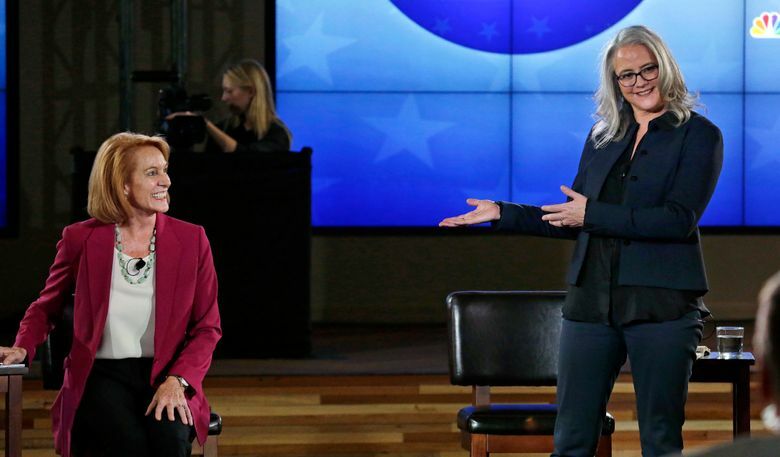 “Both of you are wealthy white women who own your homes and have documented connections to developers and big business,” Oliver said, drawing hoots from the crowd. The comment was as much a condemnation as it was a concern that both women are too far removed from the daily concerns of the poor and communities of color. More than half the city’s taxpayers report adjusted gross incomes of less than $50,000 — and half of those made less than $25,000, according to an analysis of federal income-tax returns by the Economic Opportunity Institute, a liberal think tank. Moon, 54, a former urban designer and activist who owns the downtown condo, estimated the net worth of her and her husband at $4.1 million on a financial disclosure statement. She hasn’t worked a paid job in years, thanks in part to an inheritance. Durkan, 59, a former U.S. attorney who owned the 6,800-square-foot North Seattle luxury home and is on leave from the corporate law firm she joined two years ago, put her wealth at $5.75 million in her financial disclosure. That figure doesn’t include separate assets and income of her longtime partner. During their campaigns, both candidates have talked up periods of their lives when they had less. Durkan recalled working as a baggage handler to help pay for law school. Moon said she struggled to live off savings after a divorce. Moon at times has sounded apologetic about her current affluence, going so far as to blame Seattle Public Schools for her decision to enroll her children in private school. But she argued her decision to use her wealth to quit working and spend time as a volunteer activist is more laudable than Durkan’s legal career climb. “She’s been working as a corporate attorney … And I’ve been working in Seattle on the challenges our city is facing,” Moon said. Durkan has been more sanguine about her fortune. Whoever wins Tuesday’s election is sure to face pressure to support higher taxes on big businesses and rich people to pay for social services. One advocate questioned how millionaire politicians would approach such questions. “I don’t think that wealth necessarily disqualifies someone from being able to act in the interests of people who are not wealthy. But there is a much higher bar to demonstrate, in actions as well as words, their allegiance is going to lie with nonwealthy people they are being elected to represent,” said Katie Wilson, general secretary of the Transit Riders Union, a local nonprofit that advocates for poor and working people. The group, which has endorsed Moon, helped organize a sleepover protest this week at City Hall to push for a proposed per-employee tax on the city’s highest grossing businesses. Moon and Durkan have each expressed reservations about that plan. 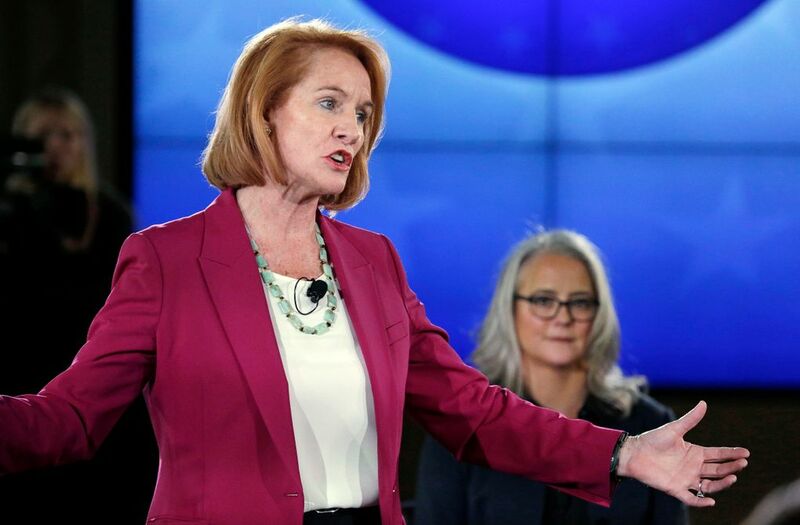 Durkan, who ran her own small law practice before becoming U.S. attorney in 2009, earned between $1 million and $5 million in her most recent job as a partner at the global business law firm Quinn Emanuel Urquhart & Sullivan, according to her financial disclosure, which requires candidates to list their income and assets only in broad ranges. She was hired to open a Seattle office for the firm and to chair its cybersecurity practice. Her work included representing Coca-Cola, as well as FIFA, the world soccer organization. Durkan points out she’s also done pro bono work — including helping get an initial court injunction to stop deportations under the Trump administration’s first travel ban. Durkan holds bank accounts, retirement funds and investments worth at least $3 million, according to her financial disclosure. Among her investments is a stake in The Riveter, a co-working space for women in Capitol Hill. She reports no debts, beyond a seven-year mortgage of at least $1 million on an undisclosed property. Assessing Durkan’s full wealth is difficult because she is enrolled in a state confidentiality program available to some crime victims and law-enforcement personnel, which shields disclosure of her home address. When applying for a city ethics-commission exemption to keep from revealing her address as she runs for mayor, Durkan said she has continued to receive threats related to her work as U.S. attorney for Western Washington until 2014, which included leading prosecutions of Mexican drug cartels and Russian hackers. Durkan also has said her partner, Dana Garvey, is “unbelievably private” and dislikes politics. Because they are not married, details of Garvey’s finances are not required on Durkan’s financial disclosures, said Wayne Barnett, executive director of the Seattle Ethics and Elections Commission. Garvey is a daughter of a Louisiana telecommunications-company magnate, who died in 2010. She worked in the industry herself in California, founding a project-management firm, before switching focus to get a Ph.D. in art history at the University of Washington, according to a UW bio. She has worked as an authenticator of 19th- and 20th-century art. Public records show they sold their 6,800-square-foot home in North Seattle on May 31 for $4.3 million. They bought the house in 2009 for $3.5 million. They previously lived in the Mount Baker neighborhood. Since selling their home they’ve been renting downtown, Durkan said. The couple also have a 70-acre island property Garvey bought in 2001 for $3.4 million in what was at the time the priciest residential land sale in the island’s history. Moon’s wealth is largely built on her father’s manufacturing business in Michigan, which she helped run for three years in the early 1990s. The firm, Pro-Tech Respirators, was sold to a French company in 1995 for a reported $6.8 million. Moon later was a self-employed urban designer and director of the People’s Waterfront Coalition. After her parents died, she and her six siblings split an inheritance. Her share was more than $1 million, she said. In recent years, Moon hasn’t worked; she devotes her time to studying economics and volunteering for progressive causes. She’s also donated more than $176,000 to fund her campaign, accounting for more than half her total funds raised. Her financial disclosure lists income of between $200,000 and $1 million for her husband, Mark Reddington, a partner in the firm LMN Architects. The couple, who married in 2011, report investments worth at least $1.4 million. Moon said she struggled financially after her 2005 divorce, which resulted in a shared-parenting agreement with her former husband. In a debate, she said she spent “most of my 40s as a single mom.” She also has described sleepless nights when she worried about how she would pay the bills, even though she acknowledged she could have turned to her family for help. Their 2005 divorce settlement states the couple intended for their children, then 5 and 3, to attend private school. Moon said she decided to enroll the children in private school only after Seattle Public Schools assigned them to a school in Wallingford. The district provides transportation for elementary students who attend their neighborhood school, but Moon said the school option was not workable because she didn’t want to travel to and from downtown. In 2011, Moon sold the condo where she had been living, and married Reddington months later. The couple moved to their current home three years later, paying $1.53 million for a 1,280-square-foot penthouse condo with an additional 850 square feet of parklike terraces. Records show a $1 million mortgage on the unit, located near Pike Place Market with a 240-degree view of Elliott Bay. Moon’s campaign consultant disputed whether the home should be called a penthouse, saying it’s one of several condos on the top floor of the four-story building. But it has been marketed as a penthouse, according to real-estate listings. At the Peoples Party debate, each candidate explained why she could be trusted to act in the interests of disadvantaged communities. Moon noted her mayoral campaign had refused to accept corporate donations and said she’d prioritize “voices of the most marginalized” and invite members of the Peoples Party to be on her transition team. As the campaign comes down to its final days, it’s unclear whether the candidates’ relationship with money will help or hurt their standing with voters. In an interview, Durkan said such focus is somewhat misguided. 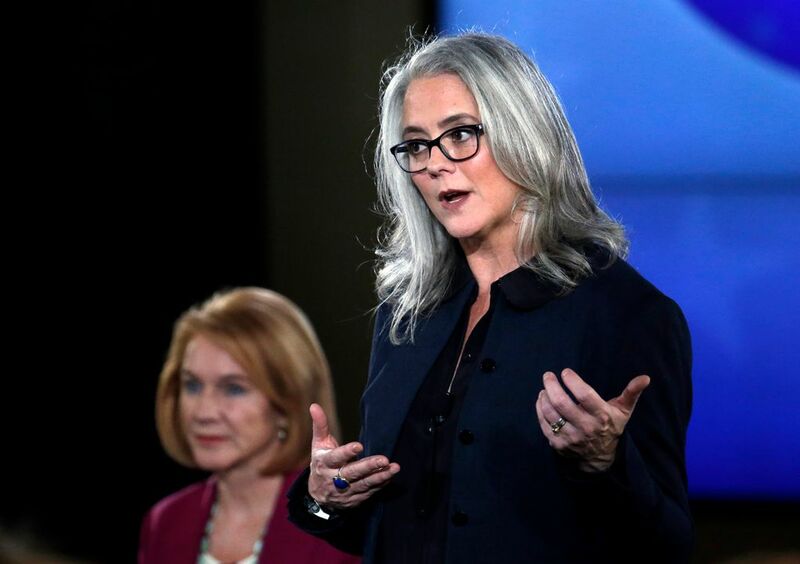 “I think the better part of the story is, frankly, why someone, whether it’s Cary Moon or Jenny Durkan, who could do anything, is willing and wants to do this for this salary?” she said. Whichever one comes out on top in Tuesday’s election will become Seattle’s 56th mayor — a job paying $194,000 this year. Jim Brunner: 206-515-5628 or jbrunner@seattletimes.com. On Twitter @Jim_Brunner. Susan Kelleher: 206-464-2508 or skelleher@seattletimes.com.